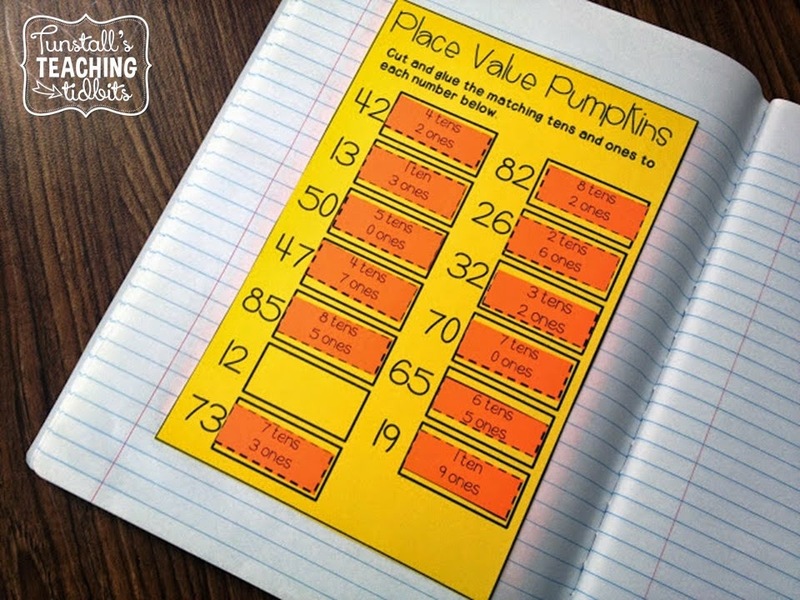 October is the month when we introduce place value to our students! 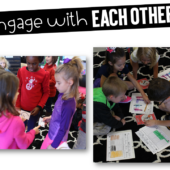 Are you looking for some hands on ideas for beginning place value? These are the centers I pulled from my bundle to make it happen! First, I bring this back out and we build our teens on the tens and one mats. This time we break it down and discuss it much more in depth! 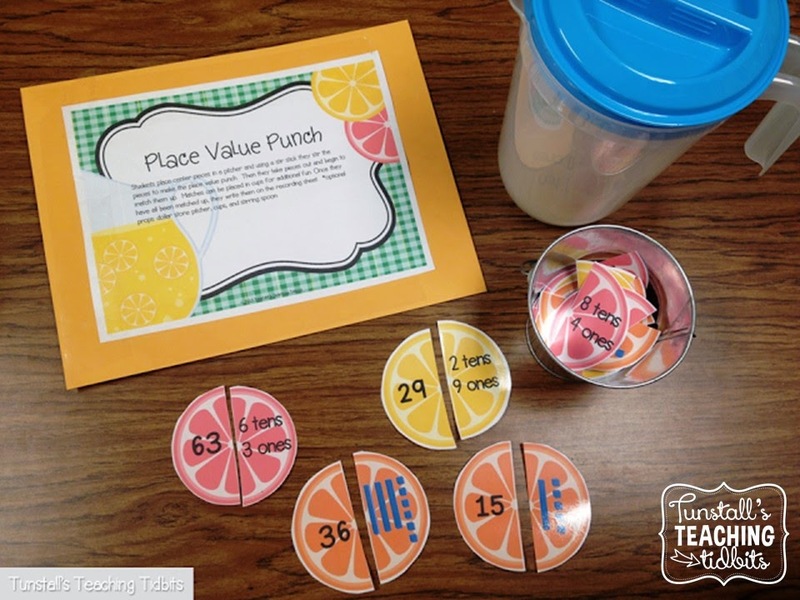 The students also get to have fun thematic interaction with place value! 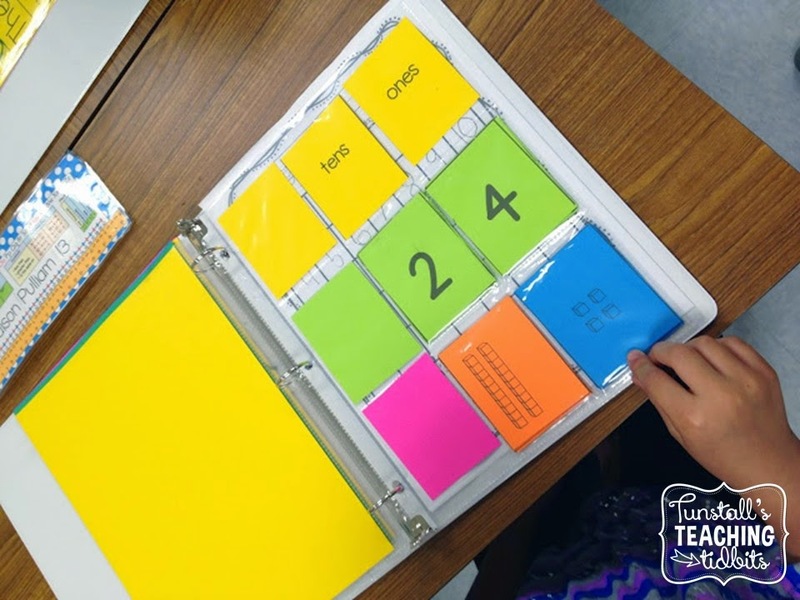 You can never have enough base ten and number cards! 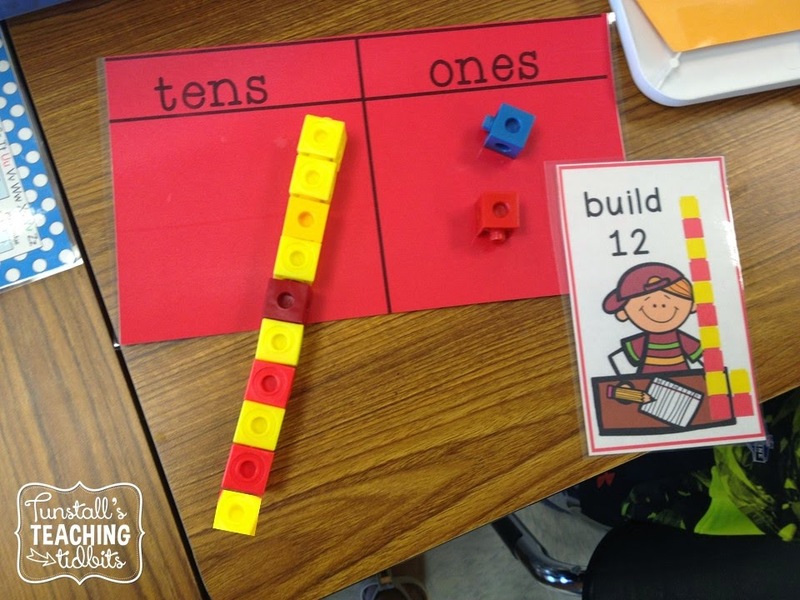 We build with base ten blocks to match number cards and then find the matching base ten card to check our work at small group table. 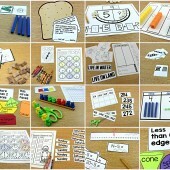 We will start our estimation station next week! We take the opportunity to count the objects inside the container and put them in groups of ten! Then add the ones to the final count! 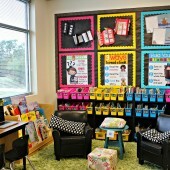 Sunny Days in Second Grade first blogged about this adorable estimation station and I have been in love ever since. The estimation station becomes a once a week activity. The student closest to the actual number gets to take home the container and fill it up with a new item. It can be anything! cotton balls, beans, small seasonal fun! We almost always guess on post its with our names and then group by tens, count and display our results! Easy and effective! Well, the estimation station is my new favorite!!! Thank you for the great idea! 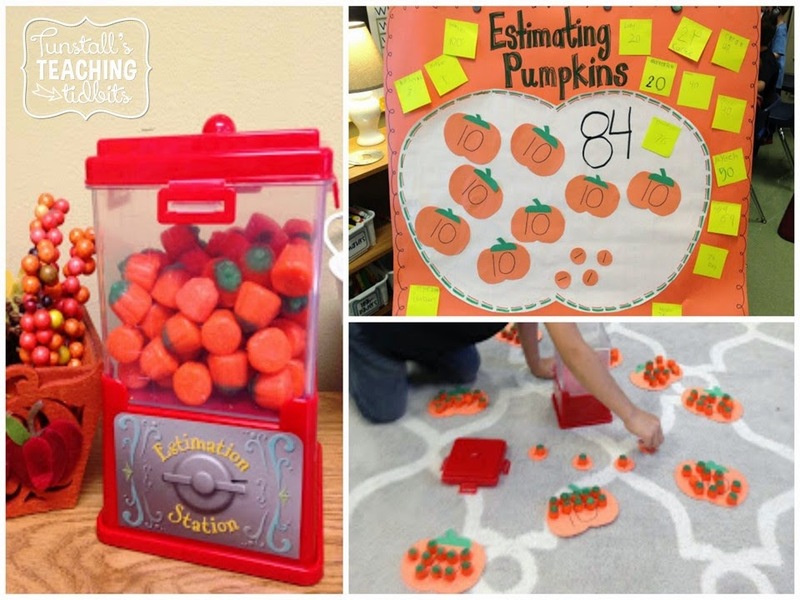 I love the "Estimation Pumpkin" chart. 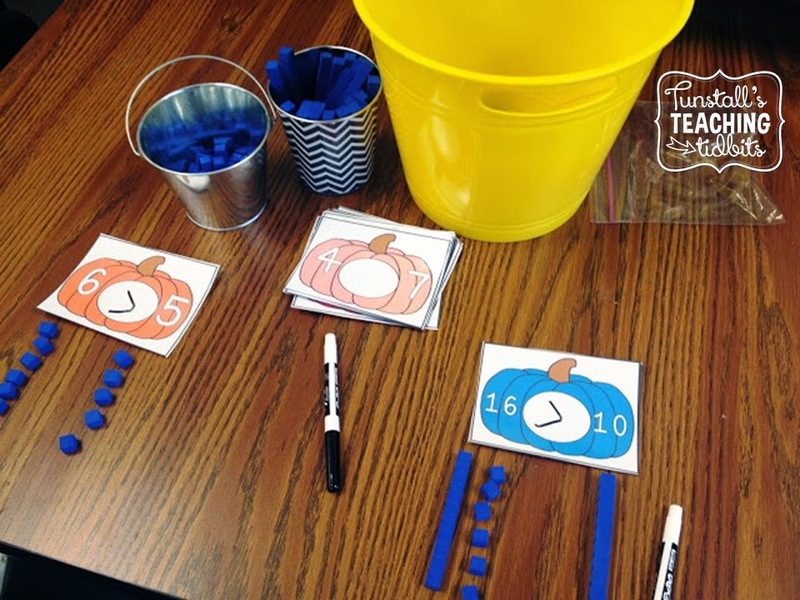 It would be precious to make the "Ones" seeds and the "Tens" as the pumpkins. Well, how amazing is that: in my 1st grade classroom this morning, we also started place value. And I'm talking about french kids, in France. I meant to tell you that the day you posted the maths journal picture of the pond and the bugs, my kids were also working on this exact same "math story", from your september bundle. Different country, different kids, but total parallel. Thanks for the great ideas on this post, I WILL naturally do the same on my side of the ocean! Looks so fun! 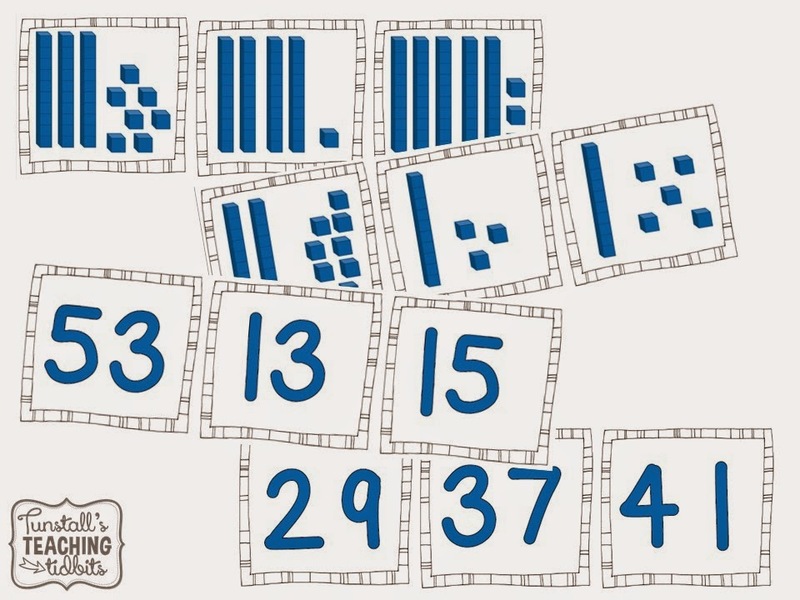 What a great way to work with numbers. These activities look like so much fun!!! 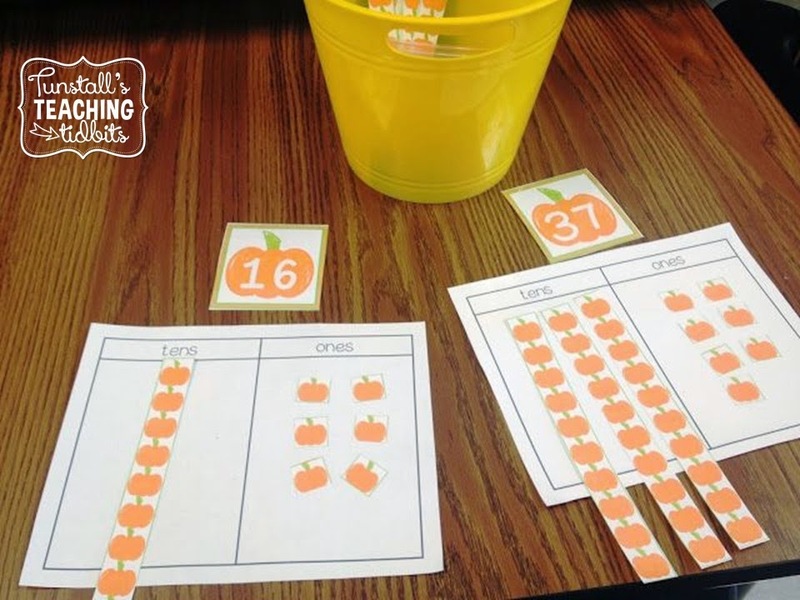 Love the estimating jar idea!!!! I read your interview on TPT, it was great. Thanks for all the products you have produced, they save me time and inspire me to do new things. I have always had the teaching of reading down, but math was more of a challenge. 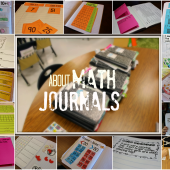 Your interactive journal ideas have been great and make a real difference in students retaining what they have learned.